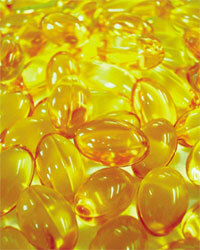 The fish oil price continued its steady rise, reaching new highs in mid-2013. Growing demand for aquaculture products will continue to put upward pressure on fish oil prices as a primary ingredient in fish feeds for carnivorous fish species. Supply shocks and quota restrictions will also contribute to price pressure and volatility. Global consumption of farmed fish, which is expected to surpass the consumption of wild-caught species in 2015, will insure the demand trend remains strong for fish oil used in aquaculture feed and for direct human consumption. Fish oil production declined 22% between January and June 2012 and the same period in 2013. This decline is attributed to lower production in Latin America, falling around 28% from last year. Icelandic production fell by 39%, however their contribution to total production was only 27 000 tonnes, compared with Latin American production of 147 000 tonnes in the first half of 2013. A poor season in Latin America was partially offset by Denmark and Norway where a 45% rise in fish oil production was seen between 2012 and 2013. USA exports were maintained in 2013, with 15 800 tonnes exported between January and June. Menhaden accounted for less than half of USA fish oil. Peruvian exports between January and June 2013 were 20% of total exports in 2012. Fishing has been delayed as a result of the work of research vessels assessing stocks and fishing grounds are not expected to be reopened until October. Primary export markets for Peruvian fish oil were Denmark and Belgium. Chile exported 38 700 tonnes of fish oil in the first half of 2013 compared with total exports of 22 500 tonnes in 2012. Fishing stopped in Chile under an anchovy ban through mid-September and sardine fishing is expected to resume in October. Primary export destinations for Chilean fish oil were China, Japan and Norway. The price of fish oil continues its steady rise, reaching USD 2 100/tonne in August 2013. This surpassed the previous price peak of USD 1 800/tonne reached in April 2008. There has been a steady rise in fish oil prices since they bottomed out during the global financial crisis, dropping as low as USD 620/tonne in early 2009. Supply shocks in 2012 resulting from El Nino weather conditions and tightening quota restrictions to improve sustainability of catch fisheries contributed to upward pressure on fish oil prices. Global demand for farmed fish, which is expected to surpass consumption of catch species in 2015, will continue to exert upward pressure on fish oil prices.